There are many different types of retirement accounts. It can get confusing to keep track of what you have and how it is invested when you have a lot of different accounts. Can your retirement accounts be combined into one account? Probably! Most of the time you can combine quite a few and usually, it makes sense but it depends on what types of accounts you have. What Types of Accounts Can Be Combined? In general, accounts that function in a similar way can be combined once you are retired. The first 7 items on the list below work in a similar way. When you deposit money it is tax deductible; when you take money out it will be reported on your tax return as taxable income. If you have a few different accounts from the first 7 items on the list, those can be combined into one IRA account. This process of combining accounts is called an IRA rollover or transfer. The last 2 items on the list, the Roth IRA, and Roth 401(k), also function in a similar way to each other. You do not get a tax deduction for the money you put in, but it grows tax- free. If you follow the rules, when you withdraw it, it will be income tax-free. If you have a Roth IRA and a Roth 401(k), at retirement your Roth 401(k) can be rolled over, or combined, with your Roth IRA. 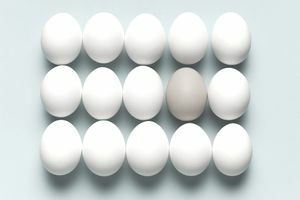 The one exception to combining accounts of like-kind is what is called a Roth conversion where you transfer tax-deductible retirement account money (from one of the first seven account types) into a Roth IRA. When you do this the amount converted is all included as taxable income on your tax return that year. And what about item eight on the list, a pension plan? If your pension plan offers you the ability to take a lump sum distribution that lump sum can usually be rolled over right into your IRA. For a graph of what accounts can be consolidated see the IRS Rollover Chart which provides a great table showing you types of accounts you can move money to and from. Can Spouses Combine Retirement Accounts? Spouses cannot combine retirement accounts. A retirement account must be titled in one person’s name. A spouse can be named as the beneficiary, but you cannot combine your IRA with your spouse. At your death, your IRA can be rolled over into the surviving spouse’s IRA, but not while you are both living. When Can You Combine Retirement Accounts? If you are no longer working for the company where your retirement account is at, then that account can be rolled over into an IRA. Retirement accounts from past employers can all be combined into one or two IRAs for you, with tax-deductible contributions being moved to an IRA, and tax-free Roth contributions being moved to a Roth IRA. While you are still working for a company that has a retirement plan you cannot move that retirement account anywhere else. However, many company-sponsored plans allow you to move outside retirement accounts into your current plan. You can check with your 401(k) plan provider to see if you could combine old 401(k)s or IRAs by transferring them into your current workplace plan. Before making such a move, talk to a financial adviser. There may be better options than moving funds into company-sponsored plans. If you have a SIMPLE IRA you should wait 2 years after establishing your SIMPLE IRA before you combine it with a different type of retirement account. How Do You Combine Retirement Accounts? Are There Taxes Owed When You Combine Retirement Accounts? As long as you combine the accounts in the right way there should not be taxes owed. When you move retirement account money, at the end of the year the custodian will send you a tax form called a 1099-R. This form will report the transaction as a transfer or distribution. There are not taxes owed on transfers or rollover as long as the rollover is done correctly. Sometimes a custodian incorrectly reports a transfer as a distribution. If a transaction is reported incorrectly as long as you have records showing the money went right into your new retirement plan this shouldn’t be a problem. Your accountant or tax professional can help you report it the correct way on your tax return. Should You Combine Retirement Accounts? There are many reasons I think it makes sense to combine retirement accounts. As you age it is easier to manage the investments, keep track of required distributions, facilitate address changes or beneficiary changes, and with an IRA you can use safe investment choices like CDs and individual bonds that are not available with company plans. And like any other industry, you should always consider the quality of service relative to the price. How much are you paying your current provider to manage your accounts? Could you roll that account into another account that offers better service or performance for the same or a better price? Fees and expense can take a big bite out of your retirement nest egg if left unchecked. Which Plan Is Best for You: IRA or 401(k)? How Long Will Your Money Last in Retirement?